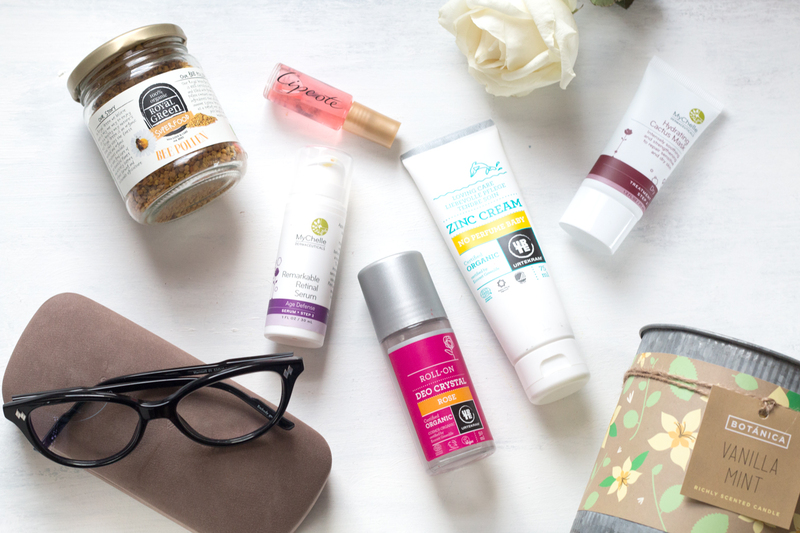 The last Saturday of June has scarily rolled round too soon, so you know what’s up – it’s time for a round-up of my monthly favourites! 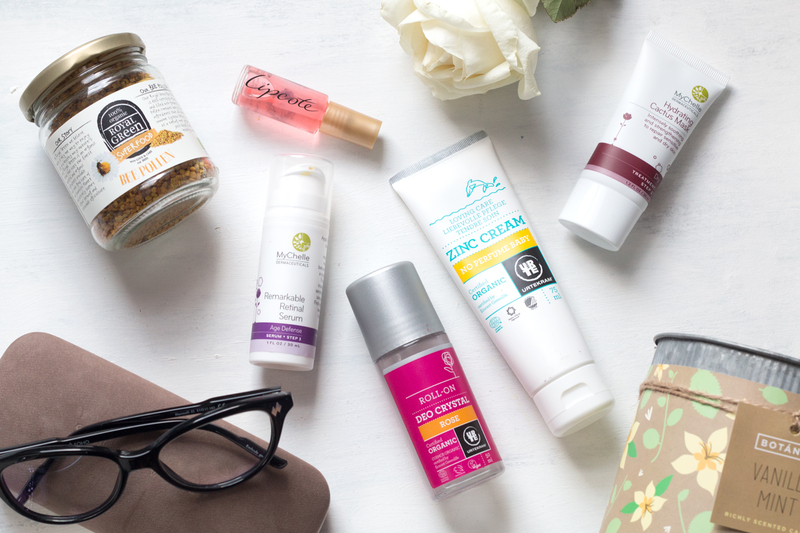 June has been the month where I’ve finally worked out how to clear up my skin from the inside out – there’s going to be a video or two talking about this coming soon – and also prepping myself for the final arrival of Summer! Lots of food and BBQs, fresh candles and shorts – can I get a hell yes? As a big-time internet and computer worker/slave, years of staring at screens has made me a lot more conscious of how my eyes are being affected. Thankfully Scarlett of Soho got in contact about their newly launched ‘try at home’ glasses service, where you can pick 3 pairs to trial (for free may I add!) and if you’re a regular glasses wearer you can buy a £12 per month subscription for a chosen pair or £18 a month where you can try out two pairs a year and get exclusive discounts! I opted for the Hartnell Glasses in Jet Black* as the shape is super flattering plus I rarely wear black so this is my way of adding a bit of mystery *ooh*. As a special thank you also and to help out any glasses wearing pals, Scarlett of Soho are offering you lovely lot a months free subscription with the code BL2015 – fab-u-lous! 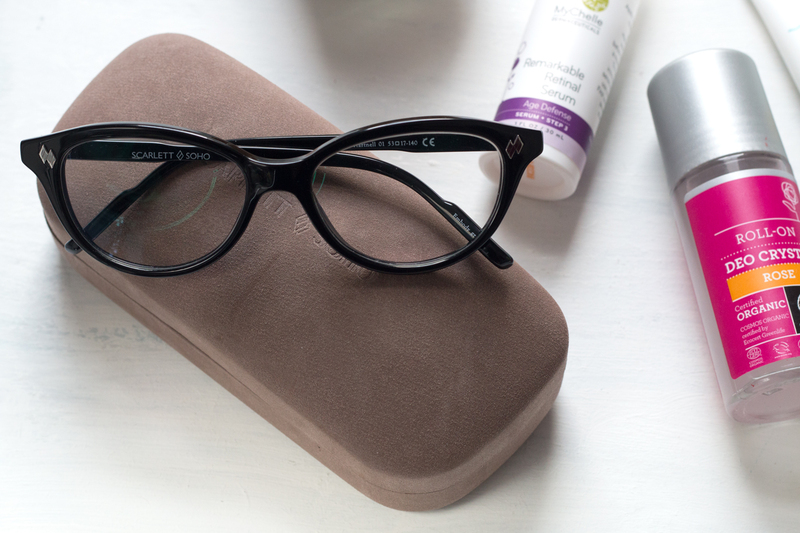 Since wearing them, my eyes have adjusted so well and I can look at the screen without feeling blurry eyed, and I’m so pleased with the quality of the glasses and amazingly speedy service – definitely worth a try! Of course you’ve probably seen a few of these pop up in several posts this month (whoops) but when you love something so much you just want to feature it everywhere right? Firstly the Royal Green Bee Pollen* has been such a lovely addition to my morning porridge and with all the yummy nutritional benefits it contains (all of which I listed here), I’ve been feeling fuller and even healthier than before. I’ve mentioned a lot of lipsticks on the blog this month, both in my Beauty Brief and Lipsticks for Cool Tones post, and the thing that’s kept them looking flawless on the lips has to be Lipcote*. I’ve wanted to try the much hyped lip-sealer for years now, and now I see what all the fuss is about; as a big bold lip lover, this keeps the colour as vivid as first application and lasting all day and night. Essential for any lipstick addict and only a few pounds too! 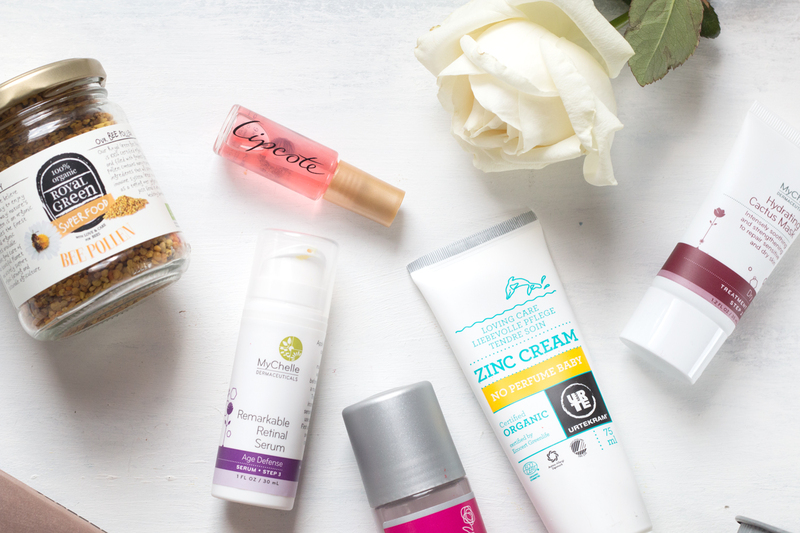 Can’t have a favourite post without some mention of skincare can I? Firstly I’ve been trialling the MyChelle Remarkable Retinal Serum* for a few weeks now and although it’s Age Defence, the MyChelle range is natural and gentle enough for most skin and age types. I’m planning on a skincare video as I mentioned before so I’ll be giving my full thought on both this and the Hydrating Cactus Mask* very very soon – spoiler, I’m in love. This month I also got to play around with another new favourite natural brand, and Urtekram have certainly impressed me. 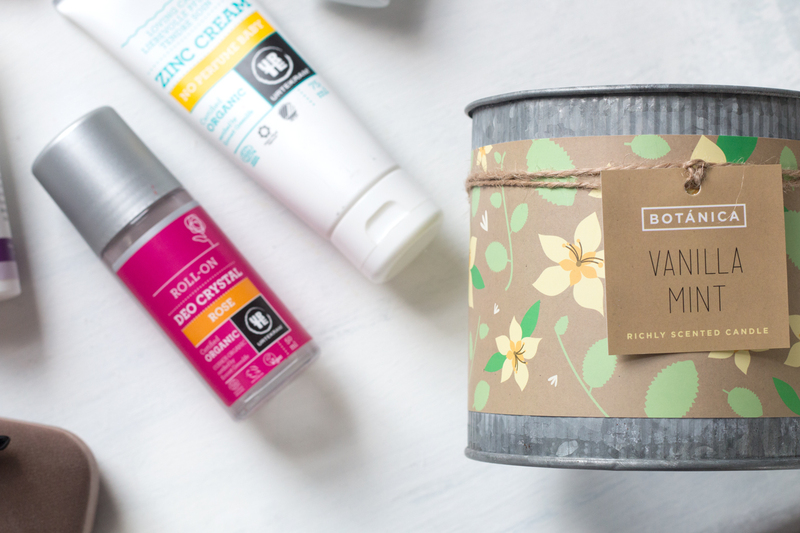 Their Zinc Cream* which granted is designed for sensitive baby bums, has been a lovely evening treatment – who doesn’t want skin as smooth as a baby’s bum?! The blend of Evening Primrose Oil, Zinc, Aloe Vera and Vitamin E makes it fabulous on redness and irritated skin, and I’ve seen a new calmness to my complexion each morning which I’m forever grateful for. Another love from Urtekram is the Rose Roll-On Deo Crystal Deodorant* and whilst it may seem boring to rave about deodorant, it’s probably the best one I’ve ever tried. No tacky feeling, my arms are fresh all day long, and there’s no residue either – combine that with the natural organic ingredients and you have no excuse but to try it now. Finally, being the candle lady I am, I had to feature my recent ‘head over heels fragrance’ which I picked up from Homesense recently (and featured in a post here) – Vanilla Mint is everything you’d want from a summer candle, it’s fresh yet mellow, lifting the zest of the room around you plus the massive three-wicks mean this will last you a long time (if you burn generously of course). Homesense always have fab bargains on candles, and I really have to restrain myself each time I visit, it’s a problem. So that’s another month that’s flown by, seriously why does time move so quickly in the Spring/Summer months? Is it all the children wishing for holidays? Whatever it is, please slow time down because next thing you know I’ll be pulling out my Christmas jumper late October and insisting we start planning decorations and mulled wine – I am that person, but enough of winter talk, let me enjoy the current shorts and sandals weather we’re having, and hopefully the next lot of favourites will feel a distant dream away…..